It’s been an amazing downwind Maliko run pre-winter season this past October through November here on Maui; with stronger than usual trades consistently pushing through, coupled with massive surf and wind swells. With conditions like these everyone who enjoys OC-1. OC-2, OC-6, prone, surfski and SUP, safety for downwind paddling on the Maliko Run has been on the top of everyone’s mind. This blog post is intended to provide helpful suggestions on what to carry with you on the really big and small days on Maliko. 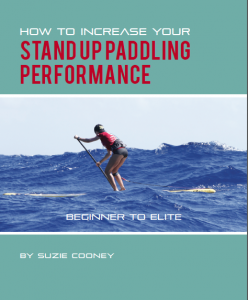 I will also share a couple of very intense, true stories and lessons learned that just could save your life or someone else you know who loves to downwind paddle. Typically this time of year the downwind boards and some boats are resting and the surf rises, I mean REALLY rises. Maliko Gulch becomes quieter and we take pause and look forward to the spring trades in early March or April. When the big North swells push in and just with the right angle, you’ll see some surfskis, or one mans enjoying some surf inside the harbor along the wall, or some brave the smaller days out at Kanaha or near Pier One. And if we get a strong true dead North wind, it’s off to Kihei for another kind of downwind magic. No one however expected or thought this fall into winter would set up for some monster glide days and many epic all-time downwind sessions like the ones we’ve had as late, day after day after day. October through November brought some big numbers on the gust meter board that filled many of the gaps we experienced this past summer and maybe even the summer before. Combined with a few back to back real North ground swells meant for some serious walls and moving mountains of water out of the gulch making the Maliko Run downwind bump hunting open winter season. It’s kind of rare but when the stars line up like this, it’s time for the seasoned die-hards to load up and giddy up, pull up your big boy and big girl shorts, keep your hands in the ride kind of downwind day on tap, text your buds and go. But wait, this is not the average blue sky, perfect trade wind puffy clouds lining up on the horizon kind of day. You’re on high alert for big wave surf reports, reading the wind, the buoys and hopefully checking your gear and checking it twice, or three times. These are the kind of days where not only should you be best prepared but every single person in your posse better have their head, board, hydration, strength, food, bright clothing, leashes or two, back up paddle, if OC1 or OC2; – phone and/or EPIRB in a real waterproof protected case (not a zip lock baggie), fins tightened, fresh rudder cables, zip ties, fresh leash rope, waterproof whistle. If you’re one of “those paddlers” who likes to leave the gulch super late in the afternoon because your friend doubled their “Maui time” clock, you might as well think about glow stick. Seems like an insane amount of stuff right? This is where you gotta check your ego at the top of Hana Hwy. Long gone are the days of just popping down for a quick little run to Sugar cove with no phone, no hydration and as tempting as a solo paddle is and I’m very guilty; get yourself in check. As downwind paddling becomes more popular in all parts of the world in many of our loved vessels, whether you surfski, love your canoe or SUP; it’s way cooler if you make the commitment to yourself, your loved ones and your friends and our downwind paddling community to be responsible. Take inventory of not only your own possible situation but get your buddies in check too because if your gear fails or you need to hero up, you can and then we wont be here writing about how great you used to be. So before I provide you photos of the what people are packing on their Maliko Downwind Run, I’d like to share with you two real stories where quick thinking saved lives. Please read because these stories may save yours. Randy Royse was very calm and his quick thinking saved his life. We all know how fun and exciting it is when the surf is up and the winds are BIG; to round up your best downwind posse, load up and head to Maliko. The adrenaline is pumping and the thrill of the glides and big rides are all you can think about. This particular day the winds were very off shore and gusting to 50+. I had posted on my Maliko Run Daily Weather Report page that today the winds will be at 90 degrees ( off shore ) or ESE and the winds will be cranking. The surf was still in the 10 foot + range combined with wind swell…oooh we. This type of day you better have the skill to match conditions like these and I knew this would be a big day for the brave. There was definitely big surf and the coast was a misting smoky white. Our dear friend and very experienced paddler Randy Royse gathered with his special posse to head down Maliko for a fast and frothy run. The skill level of this group was high and very fast. And for those of you who know this group it’s not uncommon to spread out a bit and put the paddle down hard. You could say a bit a friendly competition goes along with it. Some quick backstory about Randy: He is a strong and very seasoned downwind paddler and paddle surfer. He is always the first to help and guide others. Randy has literally been there for me on big days and was my coach to help me down on my first harbor run some time ago. It was about 3pm that afternoon and the group was flying and Randy was taking up the back of the pack and they were a bit apart from each other. Most always everyone is checking and looking around. On some days, especially like this when the swells are pushing at 15ft plus you can’t often spot the other person all that well, if at all as the troughs are big and deep. Little did he know his luck was about to change and he was really about to be on his own. He kindly agreed to share his comment that he posted as an important reminder on how he managed to keep himself calm and floating until help came. Mahalo Randy. “Kind of a crazy run today on the Maliko. Gusting East at 40 mph at the airport with a strong east swell. When it blows east you get pushed out – (off shore). I was paddling with these guys in the pic, and they are all very fast. Well I’m borrowing Jeremy Riggs loaner bullet 17 and our group gets separated. About a half hour into the paddle and well over a mile offshore I fall off and my leash breaks. I made a desperate swim for the board but not even close to catching it. Now I have no board or paddle. Luckily I’m wearing a Dakine hydration 2 liter back pack. After realizing I’m not going to get to my board, I blow into the tube to fill the bladder up with air, it will now float me. Since the wind and swells are strong and are moving off shore, I angle myself to the left, towards shore. I figure I have about a 3 or 4 mile swim if all goes well. Remembering to remain as calm as possible and swim at a pace that I can maintain for several hours. I aim for the airport tower, and try to keep my angle heading left. My friend Michael Owens on his surfski saw my board with no one near. he made a beeline to the Harbor where he found my group at the hale. They called 911. I had been swimming for about an hour and making some progress. I was nearing camp one and maybe a half mile from the beach when the Maui county life guards on a jet ski found me. I felt pretty good, but still, very happy to see those guys. They contacted my group and told them that I was ok and at baby beach. They all came to give me big hugs and we were all very happy that everything turned out ok. So what did I learn? Several things…. Check your equipment every time, especially your leash! Carry a whistle, wear very bright clothing, especially your top and a hat. Carry a phone (or 2 way radio if others in your group have them), you can also contact coast guard on channel 16. Your hydration backpack will float you once you blow air into it, 2 liter or bigger. We also talked about staying together on the wild days, a lot of times we do, but this time we didn’t. I’m going to think a bit more on other safety precaution we can do, but realize this sort of thing happens all the time and we don’t always hear about it. So happy everyone is home safe and it all turned out ok and hopefully I’ll be a bit wiser next time I paddle into the big blue. Mahalo Randy for sharing this with our downwind paddling community. It’ so important to be reminded of some of the simple things we all can do to keep ourselves and our friends safe. THE BEST and MOST important piece of safety equipment is your paddling buddy next to you. Also, besides extra items to bring, perhaps get stickers made with your name and number and put them on the hull, your board or ski and maybe also a smaller one for your paddle. I write my name and number on my SUP paddle with a silver sharpie. I got that idea from Dave Kalama when I found his nice Quickblade he left at the harbor. Thanks Dave! Another cool tip I got from Ralf Sifford, another highly respected Maliko Run paddler, is that he puts a single wrap of super bright orange duct tape around the shaft of his paddles for quick visibility. I now do the same for Maliko and surfing. Sure helps to see it fast. I had a very close call with my best paddling buddy and friend Bill Hoffman. Back then not many people were paddling to the harbor and even fewer were doing downwinders. We simply had no clue to go all the way to the harbor on the big, big winter days when all the outer reefs were breaking. We just thought we’d time it out of the gulch and enjoy the big glides and pop into Kanaha. No problem. The wind forecast was calling for winds in the 40-50 mph range and as long time windrsurfers we thought hell to the yes, we go! Nothing like big winds and big swells to make us dance like Charlie Brown in our rubber slippers. I can here the piano now. But on this particular day as we journeyed out and stoked out of our minds and honestly very nervous; a whale was surfacing just to our left near the rocks. It was kind of just rolling with the big heaving swells hanging out with the bales of turtles. Bill was very gung ho to hurry out and I was more cautious. I wanted to steer clear of the blowhole and not have it surface under my board beneath me. I was feeling waves of fear and excitement at the same time. The swells and waves were a foamy turquoise blue with blankets of white spray. With each gust the tops of them were fiercely blown off one after one as they pushed and wrapped left out towards the mouth. As I followed Bill out he was charging and a bit too curious of the whale. I remember raising my voice at him, “Bill….you know he’s way bigger than us?” Stroke by stroke we hugged the right side as we usually did, as the strong side swells were pushing us closer to the whale. I thought oh my God, really? It’s easily already blowing 30mph right now and already we’re dealing with this? Just put your head down Cooney and go. We headed upwind as much as we possibly could and without rudders, it was a serious effort to hold any straight line. I remember feeling super tense, my back was straining with eyes quite wide. Off we went the first mile and the next on the edge of our shorts and the surf was rising. Each of us just had our hydration packs and that’s it. All of the reefs were going off and our older 14ft no rudder boards were holding the big surf pretty well. Our eyes grew even bigger as these blue mountains formed and pitched us like rag dolls. The agreement was to sit and plot each ½ mile on how to navigate behind or near or far away from the white frothy fire breathing breaking reefs. Paia Bay was now behind us and the winds were easily clocking up to 50 and it was getting very serious. In the past we’d look for the Kanaha airport tower as a land marker (pre-harbor days) and the tip-top of the furthest pine trees to the right. This was where we’d begin feathering our way in. The reef was forming building size breaks over and into the Camp One area to more calm waters. We’d sit again and look at each other like WTF now? What line to take? What happened to the pine tree line at Kahana. By now the waves were breaking at 15ft plus. Monster sets were multiplying and they would not stop. Then with no warning a monster rogue set reared up out of nowhere near outer Sprecks and Bill was gone! I mean gone gone. No sign no nothing and it was just me. No phone in my pouch, no nothing. I quickly looked around, looked behind me, looked way ahead. Then I was next. I took a royal beating which I still have footage somewhere from my old gopro and all I could remember was just trying to get to the surface with my stuff to breathe before the next one. The only mission was to get help. That meant way more hold downs as I tried to aim in and many more beatings. This “mallikomare” was just beginning. I had thoughts of getting drilled into the reef and wondered if it was low tide? As I got worked every which way I kept trying to look around to see if I could see any sign of Bill. I don’t actually remember making it over the reef and in but it was horrific. As I wearily touched down on the beach, I had to bury my board in the bushes and wedged it under a log just at the tip of Camp One. I could not believe I actually made it to land. I was pumping on pure adrenaline. It was like a bad, dream-like slow motion movie. The howling sound of the wind was muffled, my vision was blurred and I had small droplet tears forming and welling up in the corners of my eyes. After ditching my board I had to run for help. I had just recovered from my broken legs and they were mush and not that strong and running was not easy all the while thinking my buddy was gone and dead. No body was crazy enough to be on the beach on a day like this. My waist hydration pack was bouncing up and down on my hips, slowing me down. My paddle was flailing wildly in the wind, ready to trip me on my face like a spoke in the tire with every big gust. I had on a full farmer john wetsuit, white visor, my Kaenons and was told later, unrecognizable. I was not wearing any bright colors nor was Bill. As I approached the first house on my left, I couldn’t see that anyone was home. I knew Ian and I knew Jeff and Suzanne and I saw Jeff on the lawn fiddling with his windsurf gear. He had no clue however that it was me. I could not get the words out of my mouth, it was like someone muted me. All they heard, “Suzie Cooney, call 911 paddler missing”. They thought it was I that had gone missing. Once I knew he could decipher my distressed wordsl for help talk, I spun around face and chest back into the super strong wind to repeat my shameful sprint in what felt like quick sand. Approaching back to the end of the sandy point where I buried my board, I felt slower than before as the wind was a heavy resistance. I was having a difficult time breathing, like and anxiety attack as I thought the worst. As I rounded that corner to look towards Spreckesville Beach, immediately to my right I noticed Bill’s beautiful green board just sitting on the beach sideways to the heavy blasting wind. What? How could that be I wondered. It was unscathed and perfect. I felt like now I could be going into shock as the wonderful Maui Fire Department arrive, the police and the awesome Maui lifeguards on the ski. After talking with them for a few minutes pointing to the break where I last saw Bill, we saw a figure in the distance staggering slowly along the edge of the sand and water. It was Bill with his paddle. He seemed stunned and exhausted. We were all so happy then I thought, Patti his wife is going to kill me. Thankfully he was alert, thirsty and happy to be on land. He was shaken up. How did he survive? I will now tell you one of the best things about be an ex ski patrol in Utah pays off. When the surf is so big, it is very difficult to make progress back to shore on your own. It’s a full on fight. Usually the swells can take you back out to sea further away from where you started. Somehow Bill was able to save energy and take breaths by sitting on his paddle handle like and old T-bar ski lift. Then by doing so he’d put the blade up as high as he could to catch the wind so it would pull him up higher to catch breaths of air in-bewteen the waves. This also helped bring him slowly back towards the beach. Brilliant! I was SO happy to see him as we all were and Jeff and Suzanne still could not believe how his board was just sitting there. Bill was most happy about that. We did call Patti and told here the story. Maybe a slightly edited version of the day’s tale was told. So what failed? Bill had just put on a brand new Dakine coil leash fresh out of the package. When we examined the board upon his arrival the leash looked like someone took a big garden shear and cut it cleanly in half. We were blown away at the force it took to sever it like that. Unbelievable. If anyone here is a physics major who knows about hydrodynamic force loads and waves breaking vertically on or through objects, please chime in here. Well, VERY big lessons this day forward. I was thankful he was alive but of course it didn’t stop us from going again. But you can bet your best boogie board, that since then we double leash on these big days and keep our leashes fresh and pack a lot of safety gear that I’ll review later. Don’t push fate or be tempted by a temper or style of complacency that could render deadly. Anyone who paddles Maliko needs to respect this coastline of water for its sheer beauty and power. It’s important to note that the ocean safety checklist that follows includes items that have been recommended to me and by me by some of our most seasoned and experienced Maliko paddlers. Some of these can be stowed in your hydration pack. This checklist is purely from gathered experience and there could be more to mention and share. So please do so in the comment section. Most of these items are easy to pick up at the hardware store, surf shop or online. You may think this information below is a bit overkill but it’s also put forth to help you start thinking of all the times something almost happened, or could have happened or did happen and you’re still alive to tell the story. Also if we’ve overlooked anything, as mentioned earlier PLEASE leave a comment on this post as it’s so helpful to learn from others. TIP: To save space in your hydration pack, you can carry your phone/GPS device in a waterproof pouch with a comfortable lanyard around your neck. In this photograph of my Vestpac, I secure my waterproof whistle to the front for easy access. Then on the back of the Vestpac, I secure a large rugged, plastic carabiner where I then clip a waterproof pouch to house my ACR ResQlink 406 MHz GPS. I also have zip ties, wax, leash string, mirror and electrolyte cubes in front. Inspect entire boat before and after each paddle session. Check steering cables and foot pedals for fraying and corrosion rust spots. Look for soft spots including on the ama. Secure extra paddle with strong Velcro, rubber clips or rubber tubing. If you are considering a paddle down Maliko with a very experienced group and you honestly are not quite there, best to match your skill set with someone else or another group. Even better, perhaps wait until you have gained the extra water time and ocean experience. There is nothing worse than having one or two people in the group that aren’t yet qualified or as fast as that can cause danger to all. Tell someone before you head out that you are doing a downwind run and what time you expect to arrive at harbor or to Kanaha. Discuss in advance with your paddling buddy or posse your path and your route before you head out. Count everyone in your group. Don’t assume your buddy has a phone or GPS device. Take responsibility. Remember if you are knocked unconscious how can your friend help you if they can’t reach your GPS? Do a quick review of “who has what” in relation to safety gear. Have back up plans for the back up plans I always say. Reflecting on the days where you shoulda woulda coulda will be less and less if you put into practice even just few of these tips. I’m just the messenger and keep learning every time I venture down Maliko. I have huge respect for my fellow paddlers who have earned their ocean stripes or those who come from a long lineage of waterman and waterwomen. We all have to have each other’s back no matter who is paddling what out there. If you’ve had similar stories or experiences or simply would like to leave a comment on things that you’ve learned on how to be best prepared for ocean downwind paddling, please leave a comment. We have an amazing paddling Ohana on Maui and everyone is welcome. It’s not just how to be safe on Maliko but on all bodies of water. Let’s continue to look out for each and have fun but be smart. If anyone is interested in contributing to MalikoRun.com, please contact us through this website for consideration and content review. Thanks for posting these safety awareness stories. Makes us more aware of the dangers in extreme conditions and how things can go bad quickly even to seasoned watermen and women like yourself, Bill and Randy. Great pointers on the equipment. Using two leashes in 35 knot winds and higher is very critical. The potential force the leash can experience in those conditions is likely higher than they can stand (I am sure Dakine, and other manufacturers have no requirements for leash strength expect for simple flat water conditions). Great advice Suzie! Thanks for posting. Glad your stories all had happy endings. Mahalo. Mahalo for leaving a comment. Well, there are a few that aren’t so happy that’s why as a paddling community we must help each other. Hope you make it out to Maui this spring. Happy Holidays! Great info. Downwind is hot, even here in cold Seattle. On wind days we’re seeing groups of 5 to 30 paddlers out, many without leashes, PFDs and sometimes wetsuits even in winter. A few weeks ago a newbie downwinder paddler took a bad line thanks to his ‘more experienced’ buddies suggestion. His new Starboard race board ended up on the jetty, got pretty dinged up. They had to do a Plan B to get back to the beach. Some tips to add to your above list of items to have on a DW run..
VHF – better than cell, no wet slippery screens (in bag), better volume, can be used as a walki-talki between buddies, works where cell can’t get reception, direct line to CG and all other boaters in area via Channel 16. Waterproof floating hand helds from ICOM, Standard Horizon, etc are pretty bombproof, rarely need to get charged.. Attach to PFD straps via string. I use for all classes and big water personal time. I teach in a few spots with no cell connection. Vest PFD. I’m sure unheard of in HI. Waist PFDs blown up are difficult to swim in and provide no insulation and actually make getting on board difficult. Smart gear such as a vhf, knife, energy bites, hydration, light, whistle etc can be stored in vest pockets. Floats when backup hydration pack or waist belt fail, provides body protection when falling on board or reef (one of our guys broke two ribs falling on board at HR last summer with a waist belt). Some models are simple in shape, most don’t hinder paddling. And many come in high visibility. Some such as Astral’s Greenjacket come with a enclosed short tow rope. Swimming skills. I keep reading these epic stories of guys swimming 2-3 miles to shore in conditions. I’m not sure I’d be able to do so aside from the incentive of staying alive. Maybe a suggestion for folks to start swim exercise ‘in case’ shi.. Happens and you need to do it for your life. Your suggestions here are great. I know you personally have spent many years on this topic with lots of training and have real experience and knowledge to share. I especially like your suggestion to keep up the swimming strength. We are fortunate to have warm water here so we don’t have the hypothermia issues BUT we have big sharks! The tow rope is for one man or OC-2s. Their hulls are so fragile and can buckle so easily and it’s hard to manage out there in big seas. Please continue to share your thoughts as your opinion matters and the goal here is to prevent more events happening and to help keep our communities safe. Mahalo and keep up the good work. Good tips. I strap a pair of (dafin) swim fins to my OC1. Much easier to swim if things go wrong. Aloha Troy! Good thinking. I’ve not seen that one yet. Let’s hope readers check this out. Have an awesome summer!